Home • Europe • Turkey • '10 Apr: Istanbul, Turkey Click HERE and all the pictures will get big. ...and dinner with Joy (on the right) who invited me having run across my website, and her friend Deronda. 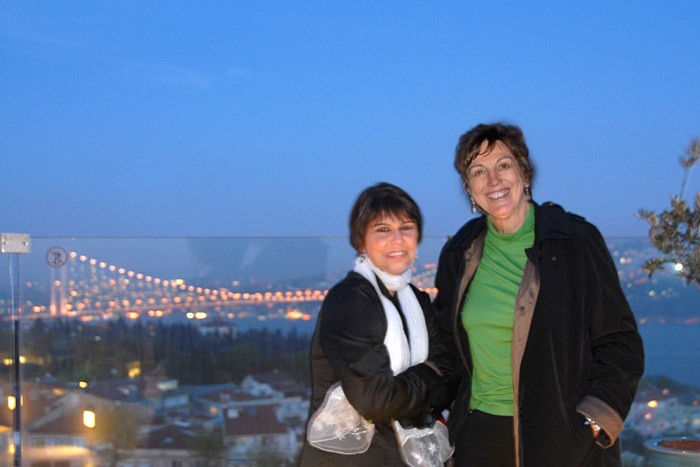 Both women are working in Istanbul now - Deronda planning to stay semi-permanently and Joy on a one year contract with IBM. I had a totally great time with two smart and interesting, resourceful and adventursome women. Thank you Joy!